Come to Cardiff on the 16th of March 2016 to take action against the DPRTE arms fair at Cardiff Motorpoint Arena. According to its website, DPRTE (the Defense Procurement, Research, Technology and Exportability exhibition) is the “UK’s Premier Defense Procurement Event” and is now being hosted annually at Cardiff Motorpoint Arena. They hosted the arms fair in Cardiff for the first time in October 2014, with exhibitors including BAE Systems, the world’s 3rd largest arms producer. BAE has a very special relationship with the UK government & Saudi dictatorship. *BAE sells equipment to Saudi Arabia, which is being used in the current bombardment of Yemen. *BAE supplied the tactica armored vehicles, used by Saudi Arabia, in 2011, to brutally crush pro-democracy protests in Bahrain. *BAE systems supplies Israel with the tools to wage war on the Palestinians, and provides display units used to equip Israeli F-16 fighter jets. *BAE is one of many companies at DPTRE which supplies weapons to Turkey. In 2015, people in towns across Turkey’s Kurdish region have barricaded their city centers and declared autonomy from the state. The Turkish army has responded by attacking residential areas with tanks, combat helicopters and mortars, killing hundreds of people. BAE are just one of over 80 exhibitors set to participate in the arms fair. Some are giants of the international arms industry that might be expected; others have a more local dimension, including the Welsh Assembly’s National Procurement Service and the University of South Wales. Household business names like BT and Panasonic are also all over the programme. It seems that a lot of people stand to make a lot of blood money out of the various weapons and other technological approaches to waging warfare that will be displayed. There has been active opposition to DPRTE since 2013. 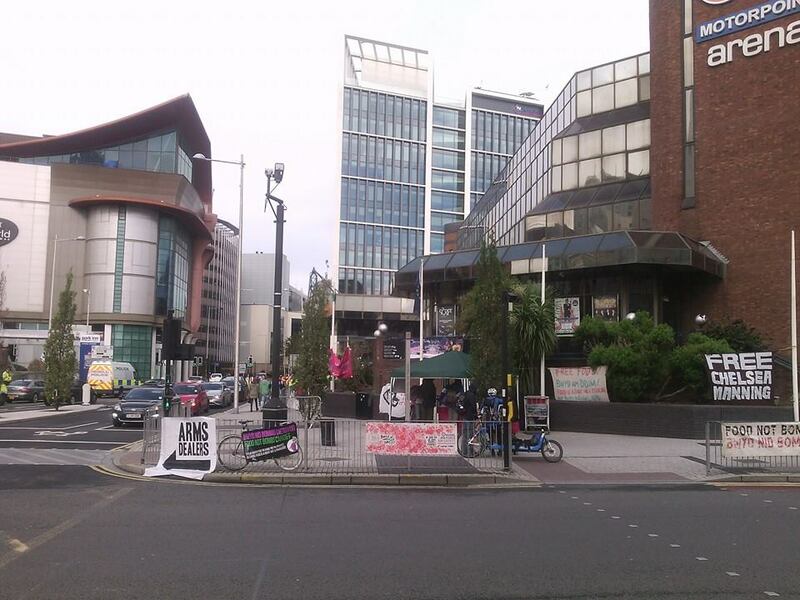 The arms fair had originally been hosted at the UWE campus in Bristol, but was driven out by determined resistance; hence the move to Cardiff. The protests involved a variety of actions, including blockading the UWE north entrance, causing queues trailing back along the A4174. 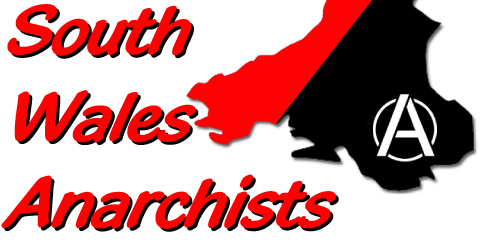 Having relocated to Cardiff in 2014, South Wales Anarchists, Stop NATO Cymru and other groups and individuals resolved to show the arms dealers that there is no welcome for them in Wales either. Food Not Bombs Cardiff had a presence; people confronted the arms dealers and tried to get inside; and three arms dealers were covered in red paint as they tried to enter. Those arrested for this action had their charges dropped when it came to trial, due to insufficient evidence. We urge all that can to join the growing resistance in Cardiff, and in particular, to take action against this arms fair and all those taking part in it on wednesday 16th March 2016. We know that when the richmake war, it’s the poor that die, and we won’t stand for business people profiting from racist mass murder, displacement and torture.